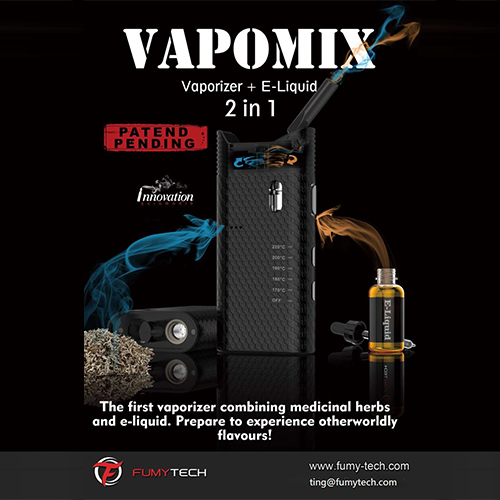 With a powerful, stable, fast and feel good, amazing vapor quality, easy-to-use, trusted construction, portable features, Vapomix is the result of almost 3 years of research and development by FumyTech. It’s now meet all of our expectations for perfection. What’s more, we’ve got patent invention. It was designed to last and impress! 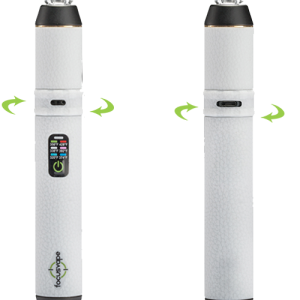 It is the first vaporizer in this entire vape market which combining medicinal herbs and e-liquid together so that you can experience otherworldly flavors. We innovate so that you can do what can’t be done before! 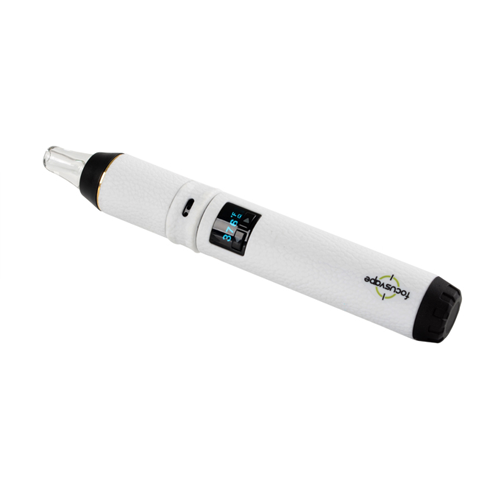 A digital temperature gauge allows you to set the temperature to any value between 170℃ and 220 ℃. The LED light shows the selected and actual temperature. 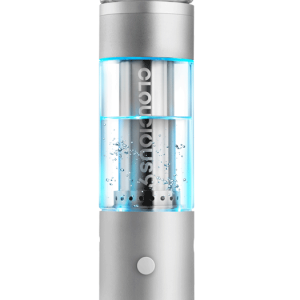 You can easily adjust the temperature by pressing the plus or minus button. Also it with Eco-friendly Ceramic design for the heating chamber, and we offer a stainless steel heating tank for paste stuff. In addition, most parts that need to be cleaned regularly are easily removable. A cleaning brush is also included. The capacity of fumytridge is 2 ML, with two resistance options BVC 0.25Ω and 0.4Ω coils to make sure you get as much cloud as you want, meanwhile, it offers you excellent flavors! 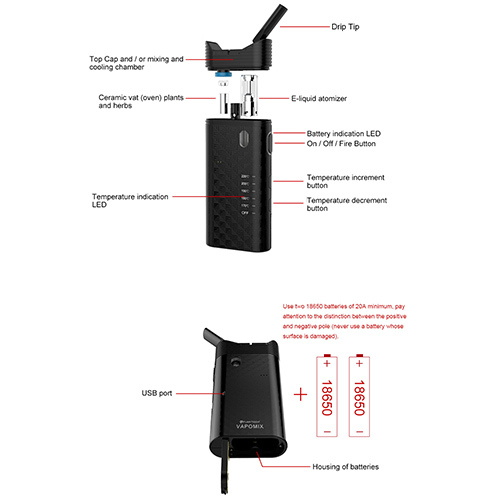 As we all know that most vaporizers on the market now are with internal battery, we made it so convenient for you with changeable two 18650 batteries to insure that you can use it whenever you want, and it also offers USB charge as to make your vape life easier and more enjoyable!